Can You Do Your Food Shop On A Budget? I've always shopped on a budget, even if (on very rare occasions) I don't have to worry too much about exactly how much I'm spending, I've always stuck to a fairly strict budget. Depending on what exactly I need to buy, for example if I need to stock up on nappies, cat food or cleaning supplies - the budget will always be a bit larger on those occasions. 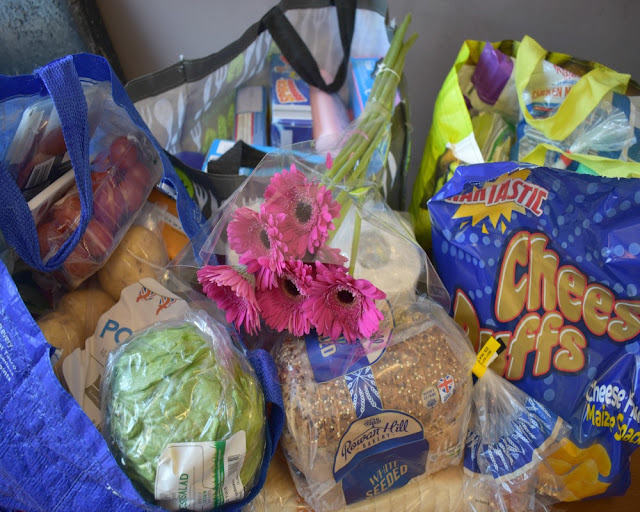 I was given the challenge to see if I can do a weekly food shop on a £50 budget, and to be honest, I found it pretty easy! *This is a collaborative post & contains affiliate links. On regular weeks, I have about £30 to buy the food shopping, with an extra tenner to top other essentials and a bit more saved for electric and bills. But general meals I can do, if I need to, for £30. So if you think you are spending too much on your weekly food shop, I'm sharing some tips with you today on how to lower that amount and save more money for other, more fun things! 1. MEAL PLAN Always, always plan your meals. You don't have to be super strict or literally stick to everything every day. For example, if it's an unexpectedly hot day, you're not going to want to have a warming stew for dinner. So you're able to switch it up if you want, but all in all you should have an idea of what you and your family are going to eat for pretty much every meal for the week. I've meal planned for as long as I can remember, since I first moved out on my own in fact! You save so much money and time spent in the shop if you know exactly what meals you are going to eat. Spend an evening looking through recipes in books or on Pinterest for meal inspiration! I try to cook atleast one new meal that I've never cooked before, a week - just to switch it up a bit. 2. WRITE A SHOPPING LIST Another thing I've always done is write a shopping list. It not only means you get exactly what you need for meals for the week, but it'll remind you to get the things you need that you have run out of! Write down each of the things you will need for the meals you have planned (above) , any other essentials and your normal shopping items such as snacks, fruit, veg and milk. After you've been doing this for a while, you'll soon find out just how much the items you regularly buy cost, which means you'll be able to roughly add it up on your shopping list before you even get to the shop. Which leads me to my next point..
3. ADD IT UP If you aren't sure of the prices before you go shopping (or even if you are) I really recommend adding the items up using your phone calculator, or an actual calculator, as you go along. This is super helpful if you are on a strict budget, as you can see exactly how much you are spending as you go along, and avoid the shock when you get to the till! 4. SHOP ELSEWHERE If you tend to shop in the same supermarket, it's time to switch it up! Consider shopping at various supermarkets, to ensure you get the cheapest deals. OR make the switch completely and shop in a more budget friendly supermarket such as Lidl or Aldi! Honestly, they can save you an absolute fortune. (I'll admit, I used to be a bit funny about shopping in Lidl, but their items are perfectly fine, and I save so much money now). 5. TREAT YOURSELF So this isn't exactly a saving money tip, but it is an important one! You've done all this hard work, researching, meal planning, writing & adding up - you deserve a treat! As long as I'm not on a really low budget, I do like to treat myself after the shop! Whether it's a bright bunch of flowers, or a small bar of chocolate! When I set off on my challenge of doing a food shop for £50, I of course prepared myself with lists and plans - and it worked out perfectly. I managed to get 6 meals, 6 breakfast meals and 6 lunches (which does include packed lunches for nursery days), snacks, fruit, vegetables, bread, milk, cat food and wet wipes - plus a cute bunch of flowers for myself! 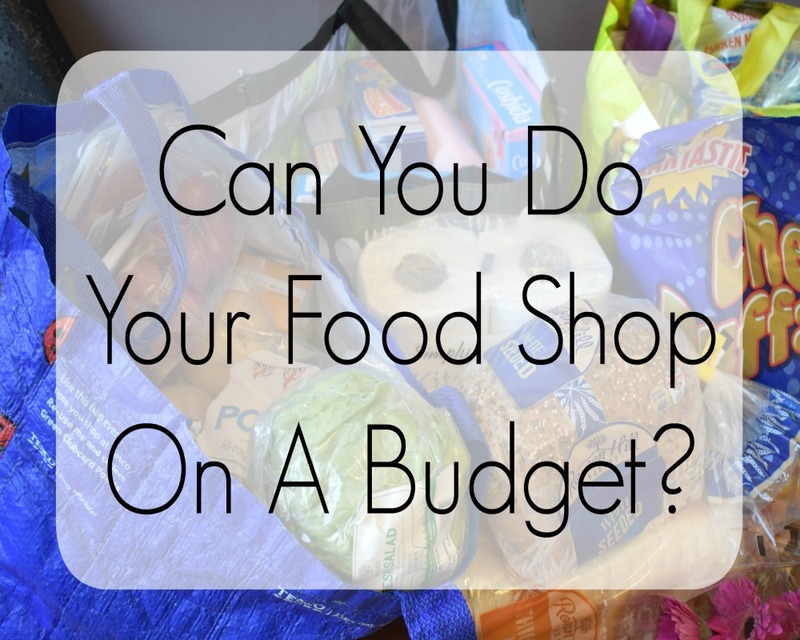 It is possible to do a food shop on a strict budget, so don't be scared! You can do a shop on any budget if you really put your mind to it! Do you have any tips for shopping on a budget?